1) In a large mixing bowl, combine the All-Purpose Flour Blend, baking powder and sugar. 2) In another bowl, beat together the eggs, vanilla and milk. 3) Add the flour mixture to the liquid. With an electric beater or hand whisk, mix until well blended. 4) Fold in the blueberries. 5) Using a large scoop, scoop the batter into oiled, non-stick muffin tins. Fill the tins full. 6) Bake at 375 degrees Fahrenheit for 25 to 27 minutes for large muffins. 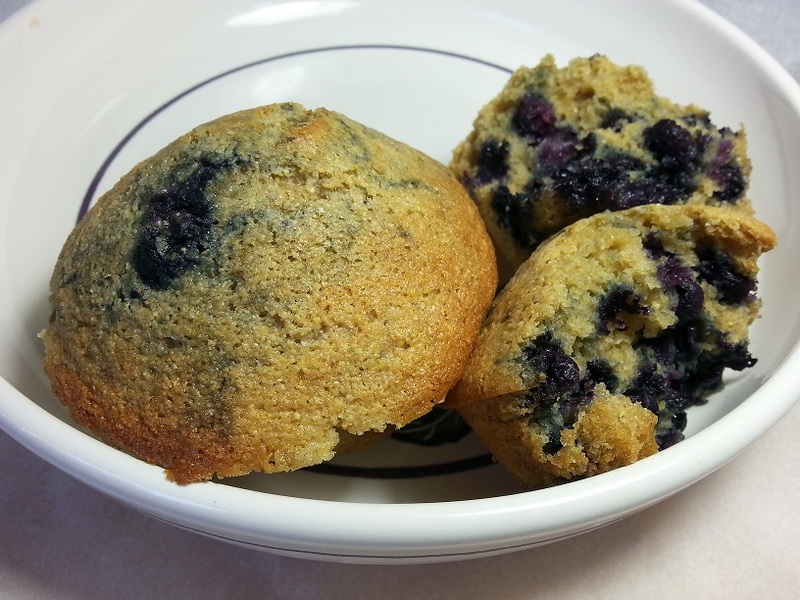 Muffins with fresh berries will bake more quickly than those with frozen berries. Check after 23 minutes. Cool for 5 minutes and remove from tins to a cooling rack. If you are using a convection oven, be sure to reduce the time and/or baking temperature. Check after 18 minutes.